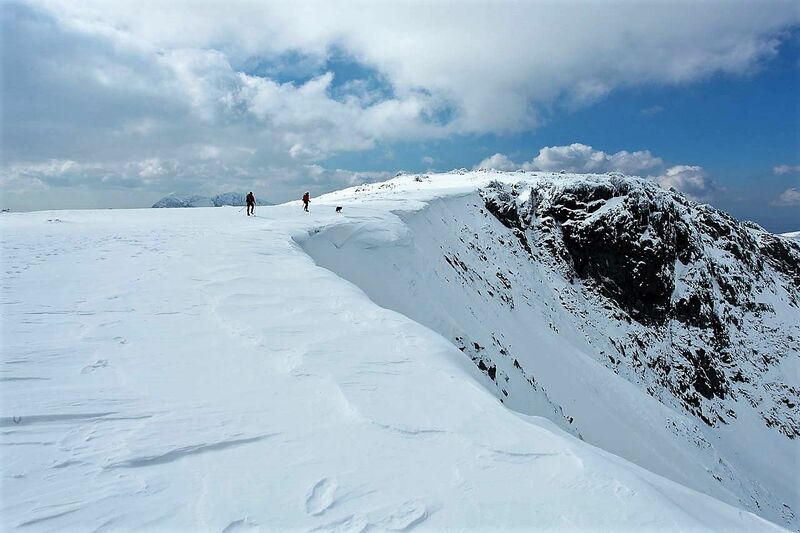 UK weather suddenly became ‘interesting’ in March this year, with ‘The Beast from the East’ dumping snow quite liberally. 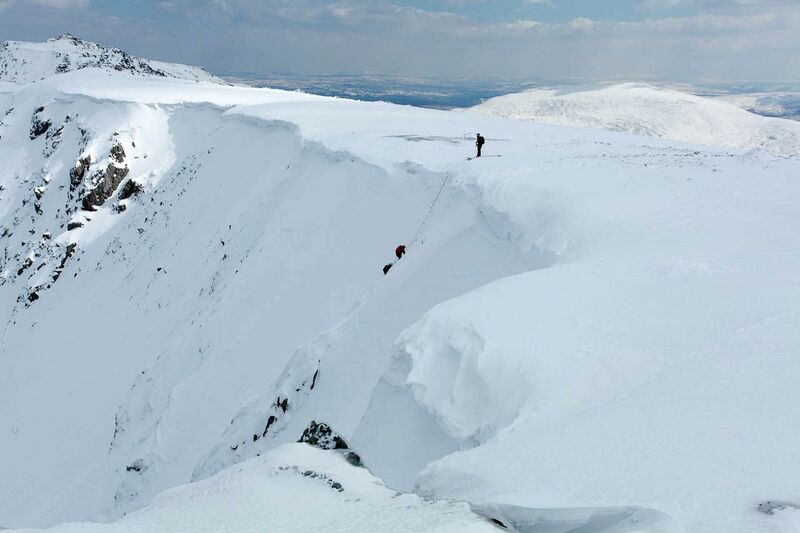 In North Wales it was the Borders area that had the biggest fall, so the weekend after the storm was shaping up to be busy for my mountain rescue team. 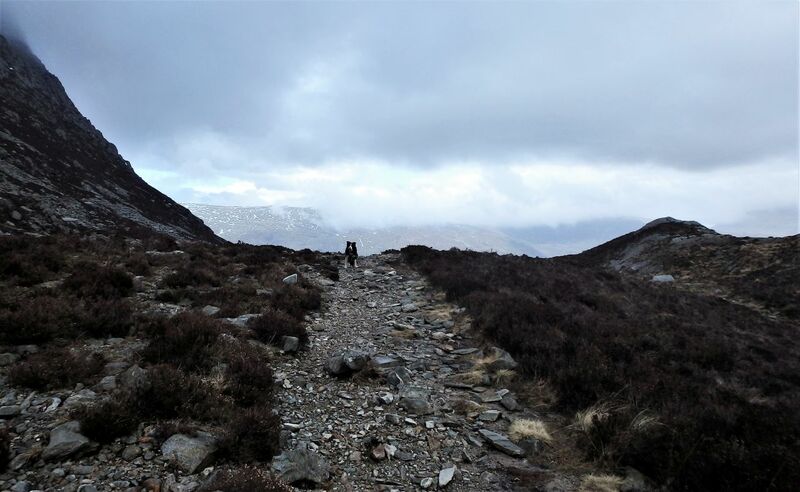 However, the following week settled down and it looked like being a good opportunity for playing out in the mountains of Snowdonia. 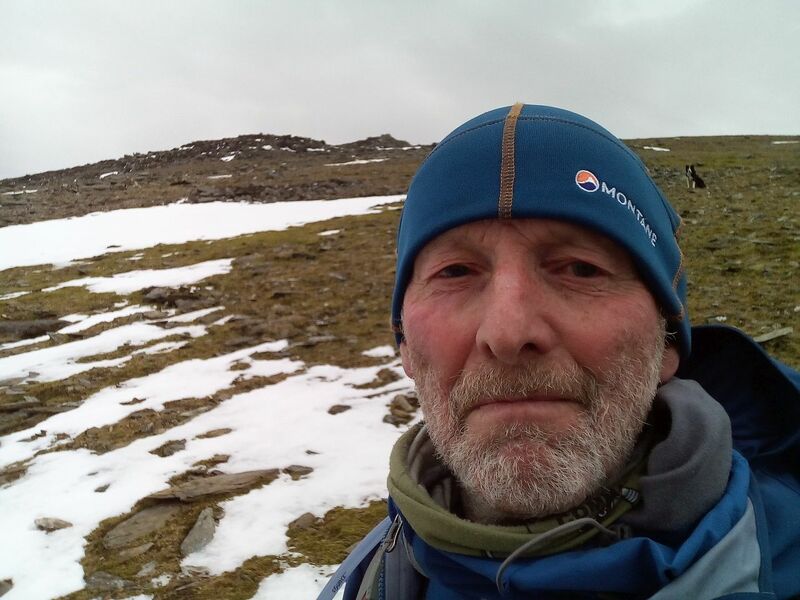 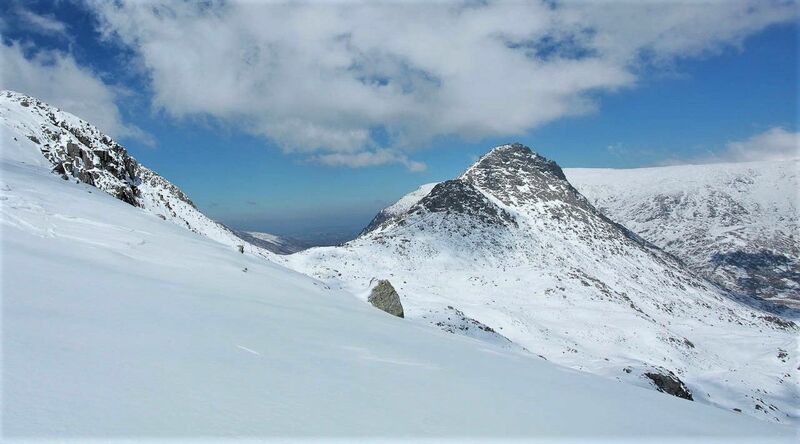 I hadn’t been to the Glyderau for a while, so the plan was to reverse the route I did with old buddy John Bamber, along with Tom Strawn, in March 2013 (see post #125). 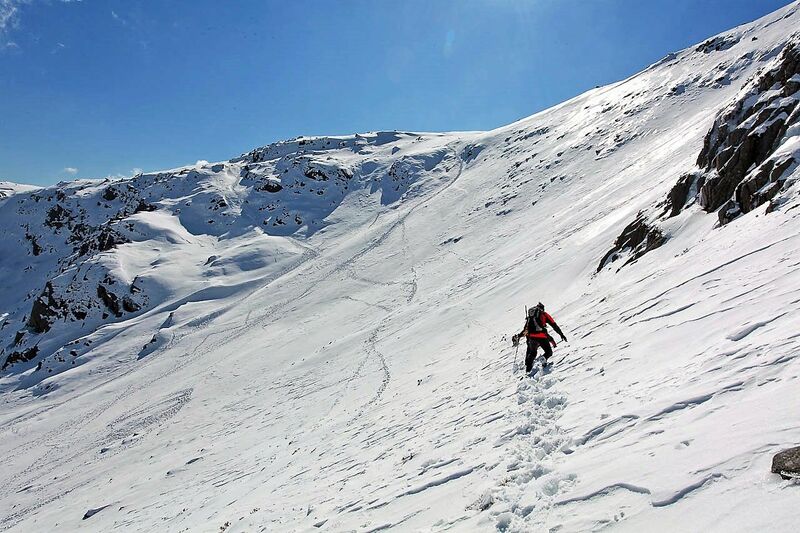 Snow conditions that day had been fantastic, following a late fall of snow in March that year, so I set off with ice axe, crampons and a fair amount of optimism. 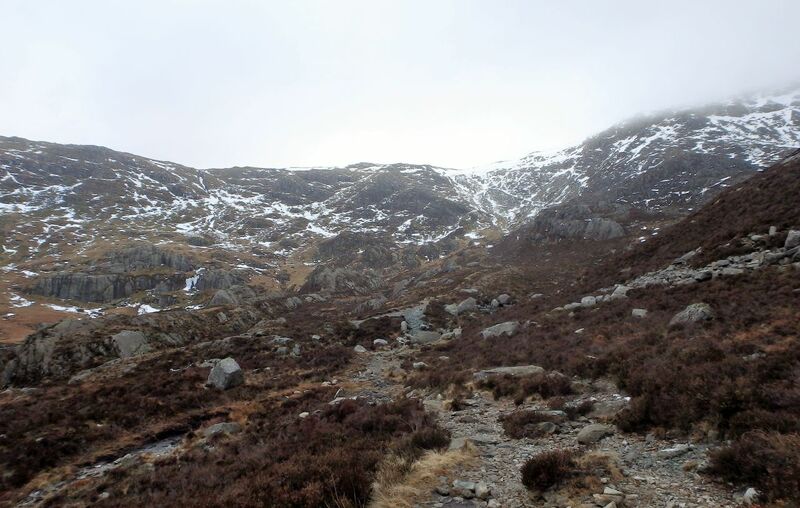 Starting from Ogwen, I set off up Twll Du (The Devil’s Kitchen), but there didn’t seem to be much of the white stuff around …. 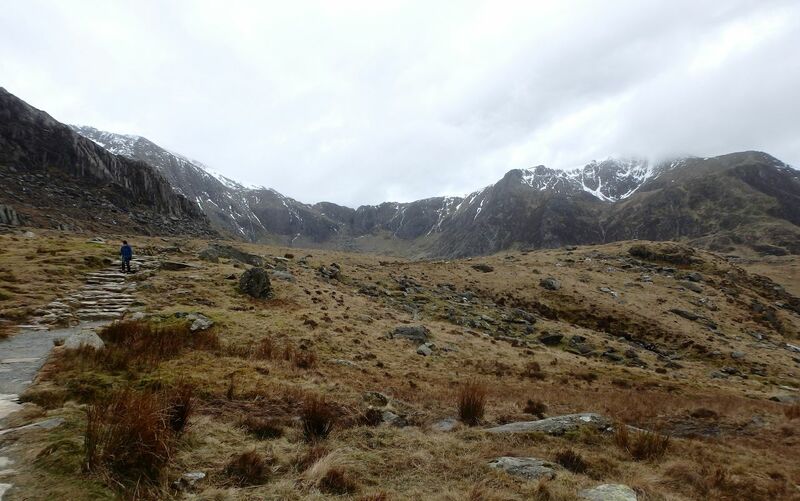 At the top of the Devil’s Kitchen path, I could see the slopes of Glyder Fawr rising on the left. 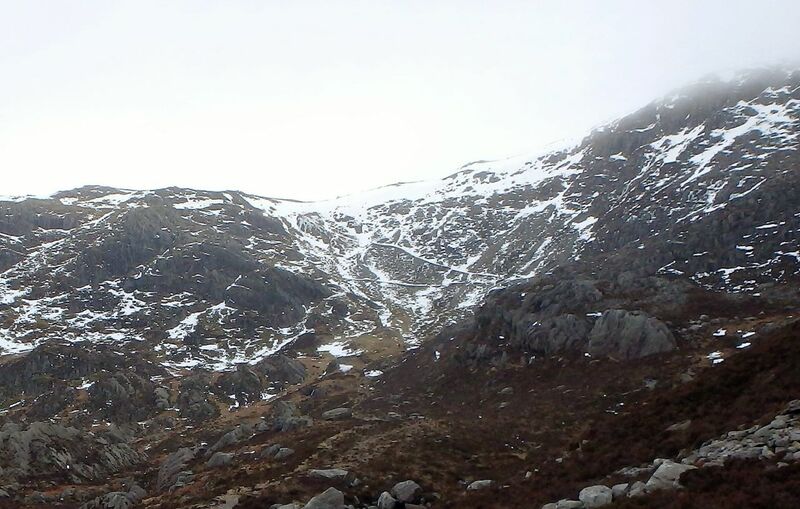 Not much snow low down, but a biggish looking snowfield higher up. 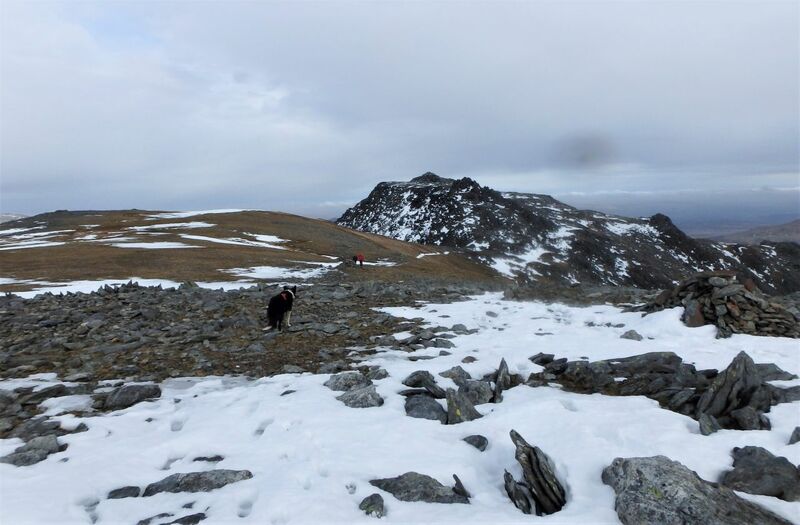 I decided to fit crampons when I reached the snow, rather than risk precarious manoeuvres on steep ground if it became icy near the top. 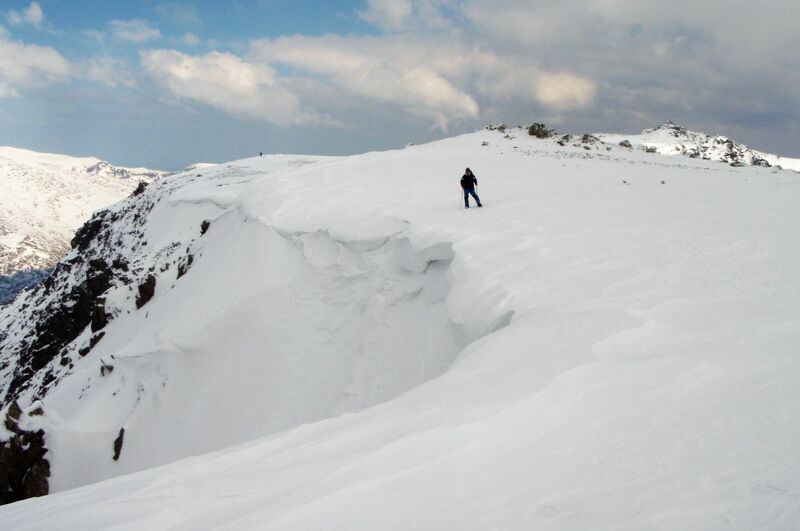 Sure enough, the snow became firmer as I gained height – that was before everything went back to brown and green! 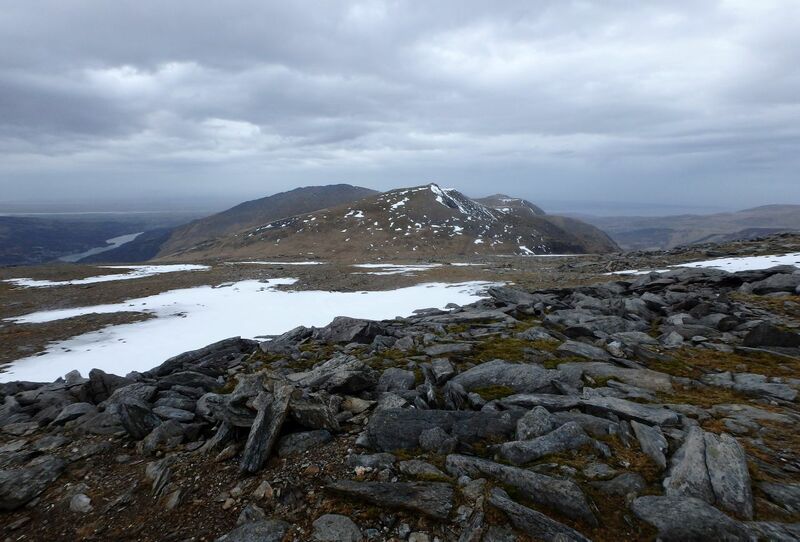 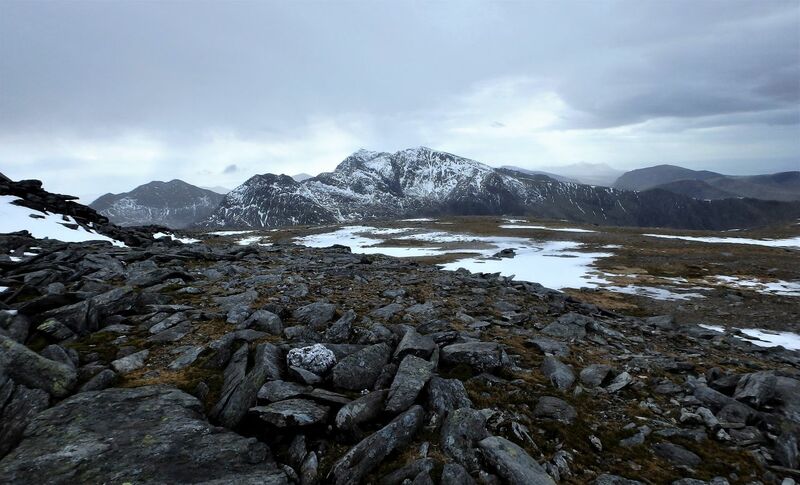 Near the summit of Glyder Fawr looking northwest towards Y Garn …. 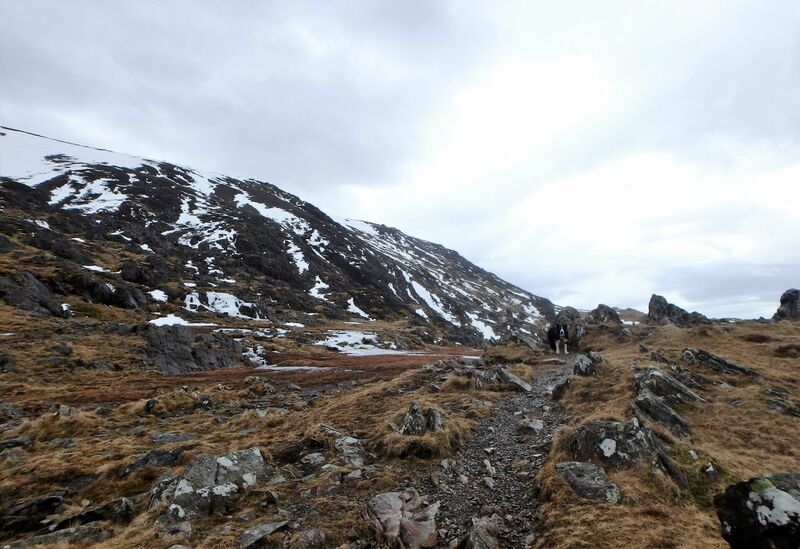 Away went crampons and ice axe, in fact I probably spent longer gearing up and then putting away again than I did on the snow slope. 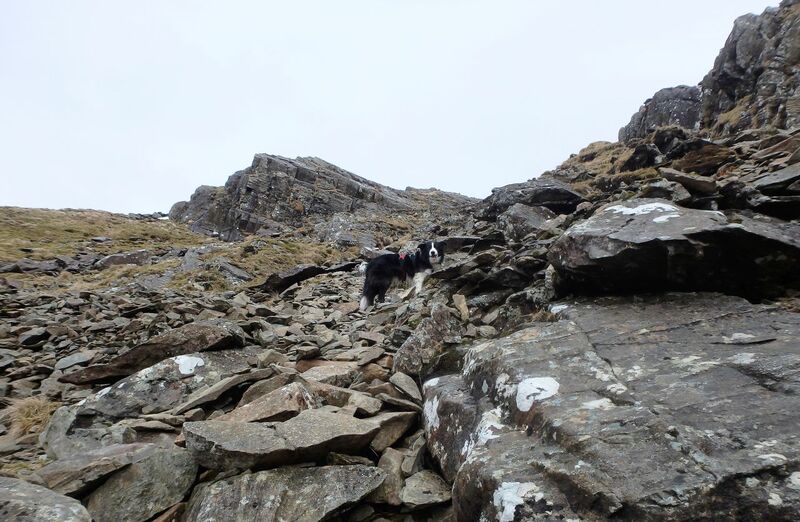 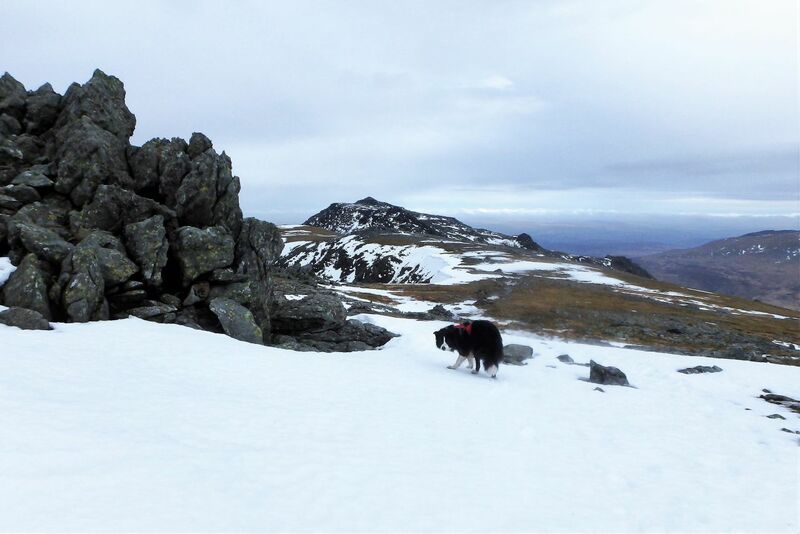 Still, a day out is a day out, and I carried on over the weird moonscape summit of Glyder Fawr, along with my hill buddy, Border Collie ‘Mist. 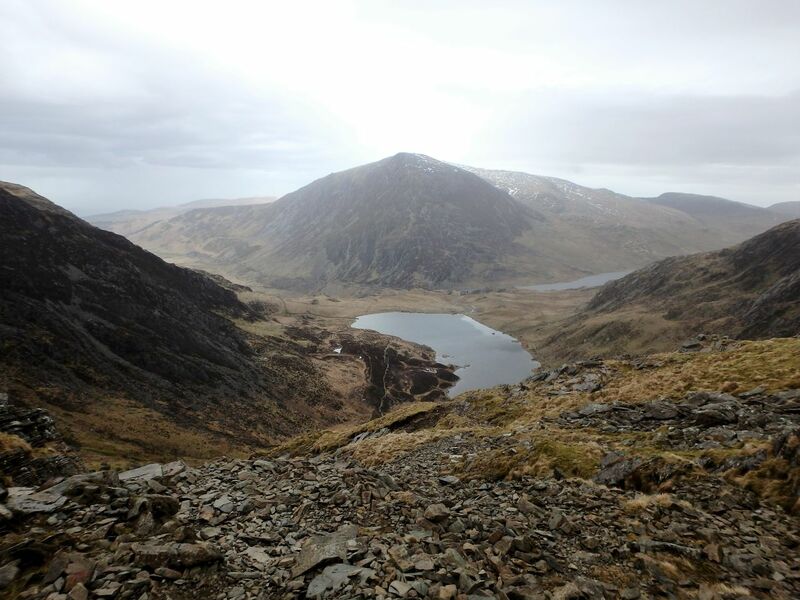 From Glyder Fawr I headed towards Glyder Fach, via the headwall of Cwm Cneifion. 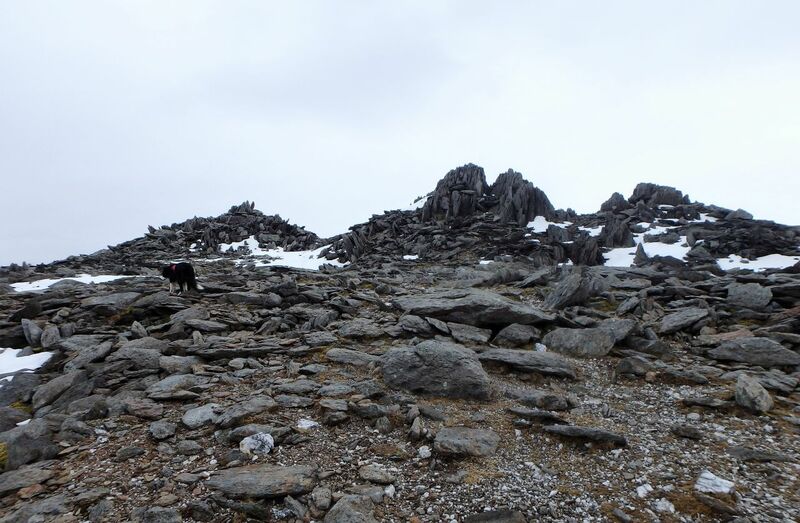 The photos show the contrast between my trip in March 2013 with John and Tom, but if it wasn’t the snowy paradise I had expected it to be, it was still a good day out. 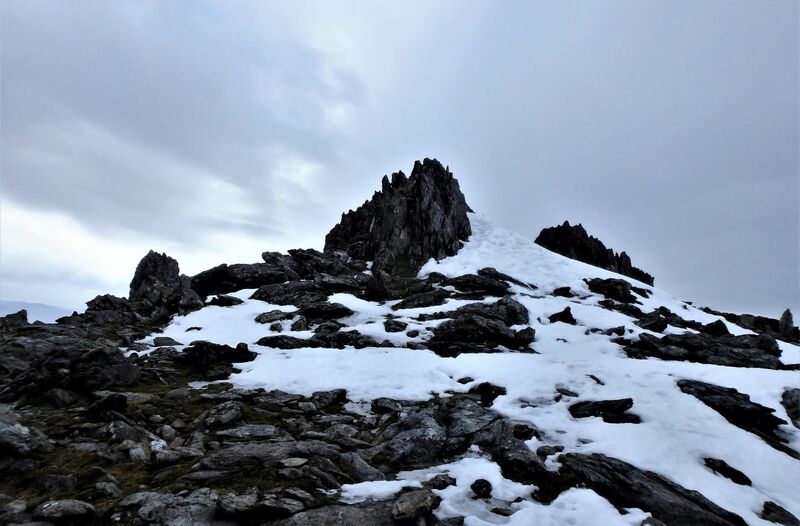 The crossing of Glyder Fach was marred by me taking the wrong line, mainly due to me avoiding the bulk of the snow to avoid putting crampons on for another five minutes. 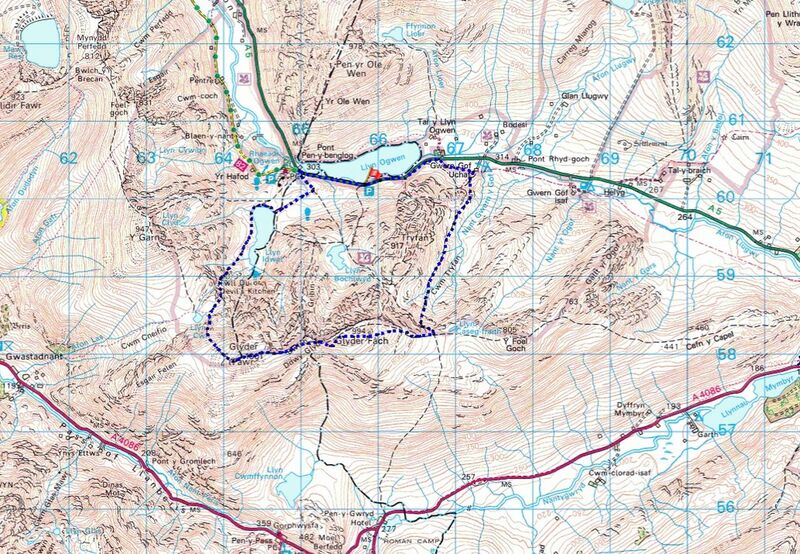 I ended up contouring below the summit before dropping down to the Miners Track for the descent to Cwm Tryfan. 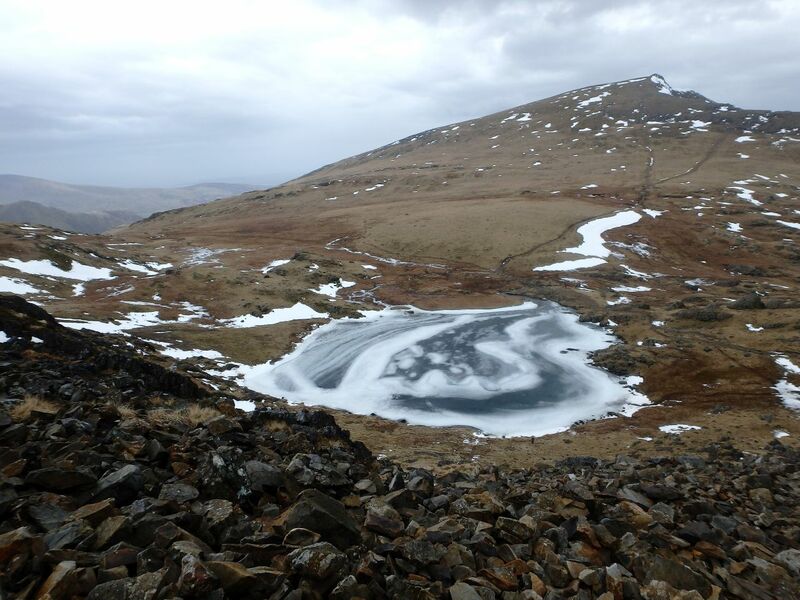 Once again, a poor choice of line led me into an ice sheet on the Miners Track, but it was all avoidable without having to use crampons – in retrospect I might as well have got them out again, as I spent a good bit of time faffing about avoiding the awkward bit. 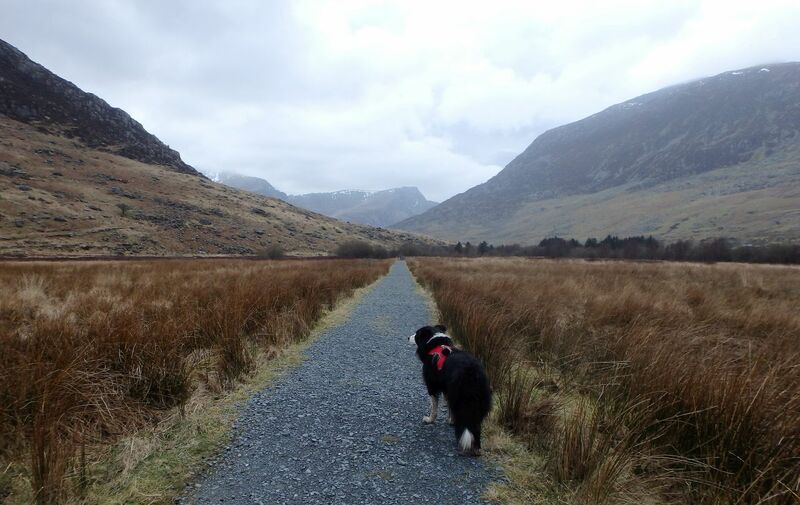 Beyond there, it was a straightforward descent of Cwm Tryfan, back to the waiting car and dinner time for a hungry dog! 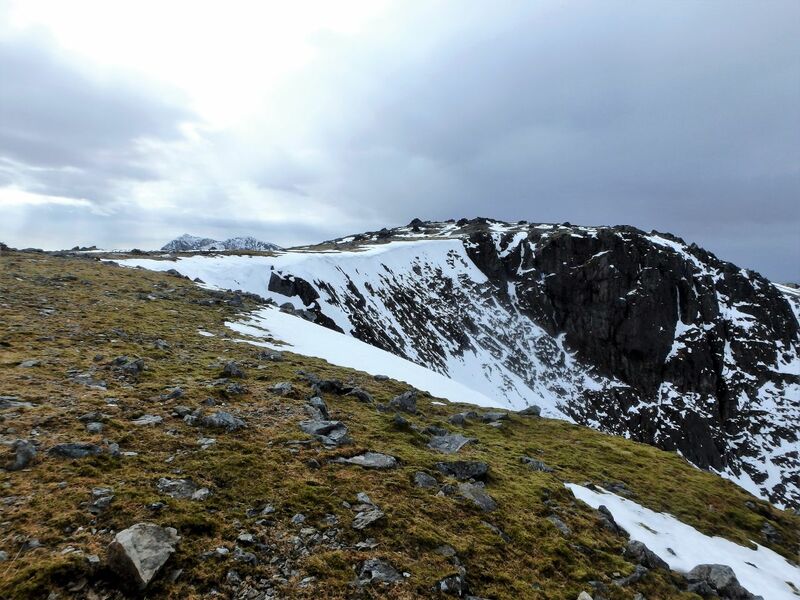 Text and images © Paul Shorrock – Images tagged (JB) © John Bamber and (TS) © Tom Strawn.